New Jersey was the subject of my first state-focused column in the Irish genealogy magazine Irish Lives Remembered. A book could very easily be written about researching in a particular U.S. state, so it is impossible to include everything across two pages. 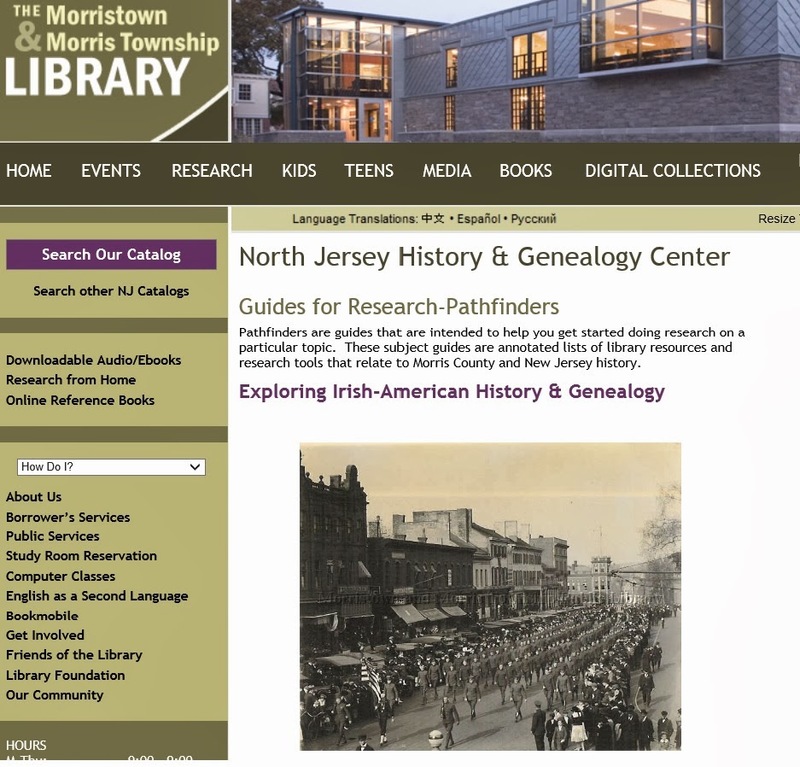 Something worth highlighting that didn't make the cut for that article is the North Jersey History and Genealogy Center at the Morristown and Morris Township Library. Their website has a series of 'Pathfinders', guides that help a researcher with a particular topic. One of their pathfinders covers Irish American History and Genealogy. 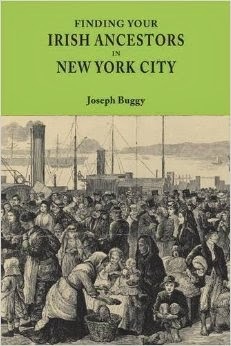 It highlights their collection of books concerning the study of Irish genealogy, the immigration of the Irish to the U.S., and the history of the Irish in New Jersey. Local gems are evident, such as Greeting the Past: A Walking tour of the Dublin Neighborhood in Morristown, N.J. and The Story of a Parish: The First Catholic Church in Morristown, N.J.: Its Foundation and Development, 1847-1892. It is most definitely worth a visit if you live in the area and have ancestors from Ireland. This useful resource can be accessed by clicking here.